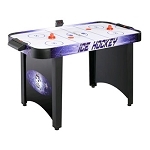 OUR BIG STURDY AIR HOCKEY TABLE PLAYS LIKE A COMMERCIAL GRADE TABLE! 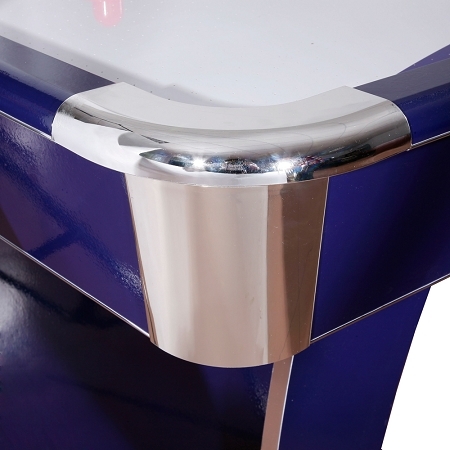 The HOT new look of the Phantom boldly steps into a new era, sleek contemporary styling supported by a pedestal base engineered for strength and crafted from high quality materials - will not flex during rigorous table play. 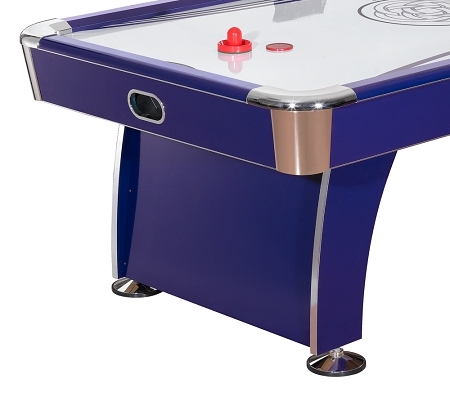 The super slick play surface and Premium grade dual blower system provide accelerated table play, state of the art electronic scoring unit lets you know the score while its integral timer option and multiple game settings give you numerous play options. 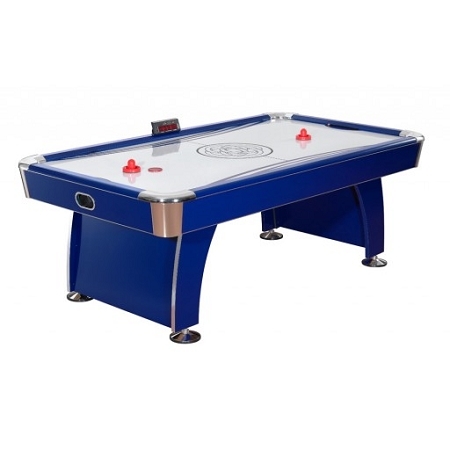 This dynamic table is certain to bring home the excitement of air hockey; keeping your family and friends entertained for years to come. 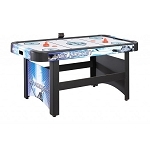 180-day Limited Warranty The Carmelli premium 7 ft Air Hockey table features commercial quality at an affordable price. 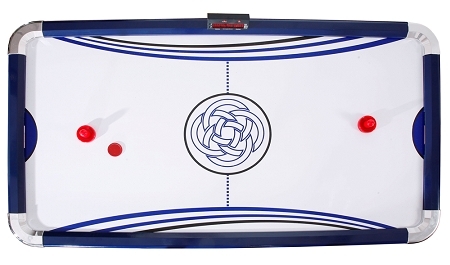 Crafted from sturdy MDF material with bold high gloss Blue exterior melamine no cheap particle board!